The Jacksons are guests on Mike Douglas show where they perform “Enjoy Yourself’, “Dreamer’ & “Show You The Way To Go”. 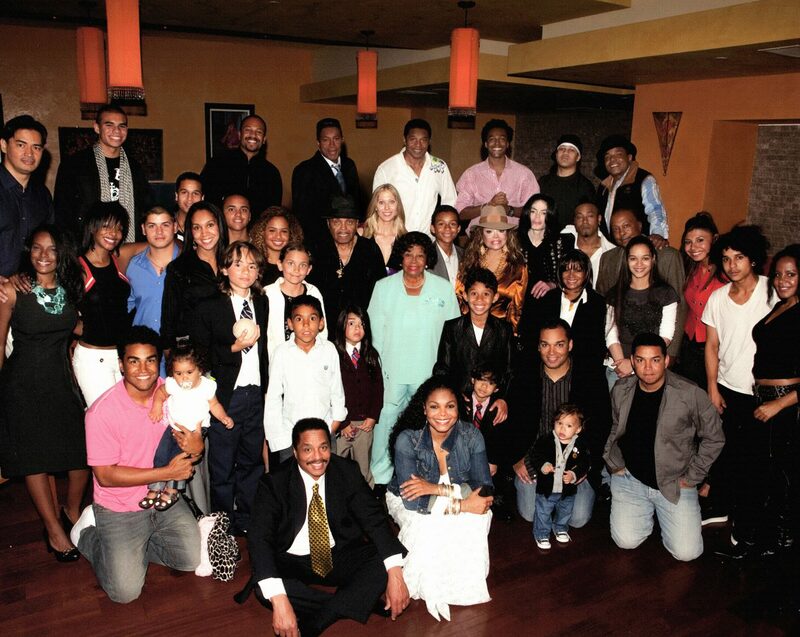 Birth of Jermaine Jackson Jr (Jay) : First child of Jermaine & Hazel. CBS airs the 5th episode of The Jacksons Variety Show. Special guest star : Redd Foxx. Songs performed :Enjoy Yourself”, “They Can’t Take That Away from Me”/”Puttin’ on the Ritz”, “Blues Away”, “Bei Mir Bist Du Schön (Means You’re Grand)”, “Keep on Dancing”. “I Got You Babe”, “Coconut”,”I Let a Song Go Out of My Heart”/”Don’t Get Around Much Anymore”/”Caravan”/”Take the “A” Train”, “Show You the Way to Go”. The Jacksons perform Good Times at The American Music Awards. George Miller/Muhammad Ali. Songs performed :”Moving Violation”,”On the Wall” “That’s the Way (I Like It)”, “Style of Life”, “Steppin’ Out”, “Hello, Dolly!”, “Life of the Party”. CBS airs the 8th episode of The Jacksons Variety Show. Special guest star : Betty White. Songs performed :”Get It Together”, “On The Wall”, “Chattanooga Shoe Shine Boy”, “Tie a Yellow Ribbon Round the Ole Oak Tree”, “Dreamer”, “Opus No. 1”, “Just a Little Bit of You”. CBS airs the 9th episode of The Jacksons Variety Show. Special guest stars : Georgia Engel/David Letterman. Songs performed :”Sugar Daddy”, “On The Wall”,”Cisco Kid”/”I Shot the Sheriff”,”One”, “Ben”, “I Am Love”. The Jacksons present an award to Nathalie Cole at the Grammy Awards. “On the Wall”,”Midnight at the Oasis”,”Get Ready”,”Good Times” “I Can’t Quit Your Love”. Michael is on the cover of Rock & Soul Magazine. The single Show You The Way To Go is released by Epic. CBS airs the 11th episode of The Jacksons Variety Show. Special guest star : Lynda Carter. Songs performed”Think Happy”, “On The Wall”, “On the Good Ship Lollipop”, “Papa Was a Rollin’ Stone”,”Thank God I’m a Country Boy”, “Living Together”, “I’ll Be There”. “Behind Closed Doors”, “Yes Sir, That’s My Baby”, “I’m Going To Jackson”, “Flat Foot Floogie”,”World of Sunshine”,”Body Language. The Jacksons tour Europe with concerts in London , Paris, Bremen , Amsterdam and Glasgow & Paris.While in Europe , The Jacksons perform Keep On Dancing at Top à Joe Dassin in Paris. They also perform “Enjoy Yourself” & “Show You The way To Go” at Top Of The Pops in London and “Enjoy Yourself”, “Show You The Way To Go” , “Dreamer” & Keep On Dancing on Musikladen in Bremen. The Jacksons perform at the Kings Theatre as part of the Royal Command Performance celebrating the Queen Elizabeth’s Silver Jubilee celebrations. The groups gets to meet Queen Elizabeth for the second time. The Jacksons perform a concert at the Hammersmith Odeon in London. They do a photoshoot all around London with photographer Tom Sheehan. Michael attends a Studio 54 party for the stage show Beatlesmania. Birth of Sigmund Esco Jackson Jr (Siggy) : First child of Jackie & Enid. During an outing to Coney Island while visiting Jermaine’s home, Michael suffers an attack of pneumothorax and is rushed to the hospital. 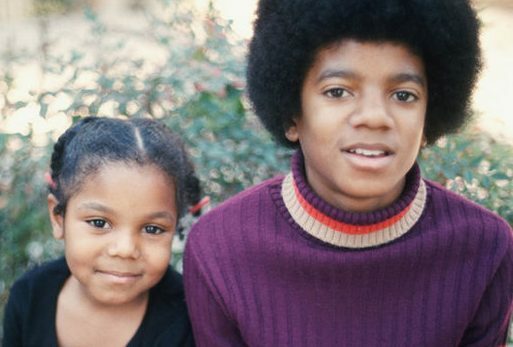 Michael and LaToya move to a condo in Manhattan’s Sutton Place. Michael is in NYC to rehearse and film his first movie The Wiz, a black remake of The Wizard Of Oz. Michael got the part of the Scarecrow opposite good friend Diana Ross as Dorothy and Richard Pryor as The Wiz. The film is directed by Sydney Lumet. Michael goes to the famous club Studio 54 in New York with LaToya & Janet. He meets a lot of people like Liza Minelli, Stephanie Mills, Tatum O’Neil or Andy Warhol. Michael attends the Carter Burden party hosted by Woody Allen. Michael attends the RFK pro-celebrity tennis tournament party with Mohamed Ali. Michael is on the cover of Soul Magazine. Janet makes her acting debut on CBS’s hit sitcom “Good Times” as Penny Gordon Woods. She joins the cast at the start of season 5 and will appear in all 24 episodes of the season. Universal Pictures holds a press conference at Astoria Studios in Queens ( New York ) to announce the making of The Wiz. Michael attends the event with Diana Ross, Nipsey Russel and Ted Ross. Filming of The Wiz at the Astoria Studios and on location in New York . Birth of Yashi Brown : Second child of Rebbie & Nathaniel. The cast of The Wiz hold a party in Michael’s honour at the Studio 54. Michael attends Andre Mc Andrie ‘s birthday party. Michael & Joe go to a meeting with Ron Alexenburg, President of Epic Records to ask for complete artistic freedom for the next Jacksons ’ album. Alexenburg agrees, appointing two executive producers, Bobby Colombus and Mike Atkinson. Michael spends New Year’ s eve at the Studio 54 with Liza Minelli among others.